In the month of March, a never before seen creation from executive chef Vincent Canzeri. 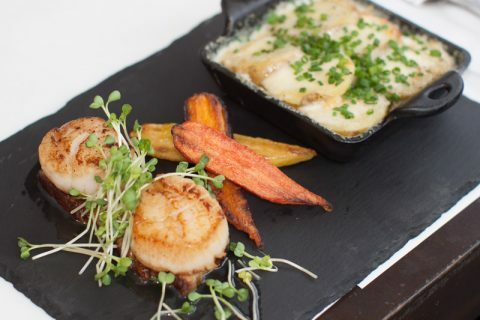 You will succumb to the giant scallops perfectly pan seared and accompanied by a generous serving of braised pork belly lacquered in maple syrup. This delicious combo is served with oven roasted nantaise carrots and a velvety potato gratin. A divine selection. Also available in GLUTEN FREE version.